With only a few days before Thanksgiving holiday and less than 50 days before Christmas, I am fully in holiday mode. 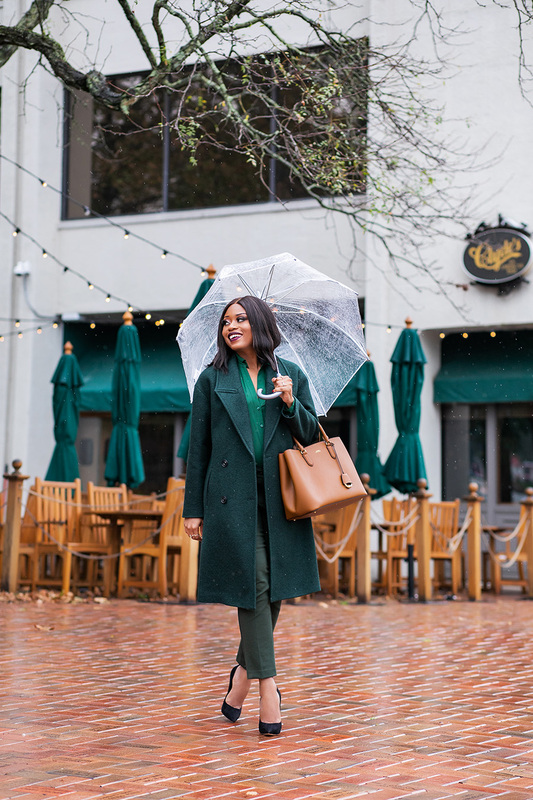 Whether I am dressing for work, out with friends or at home, what I wear and colors reflect holiday theme. I have been drawn to greens, reds, plaids, tartan and all the holiday themed fabrics and colors. The question during the holiday is, what do I wear to work this holiday season? Today's look is an example of a look to wear to work during the holiday fall/winter season. 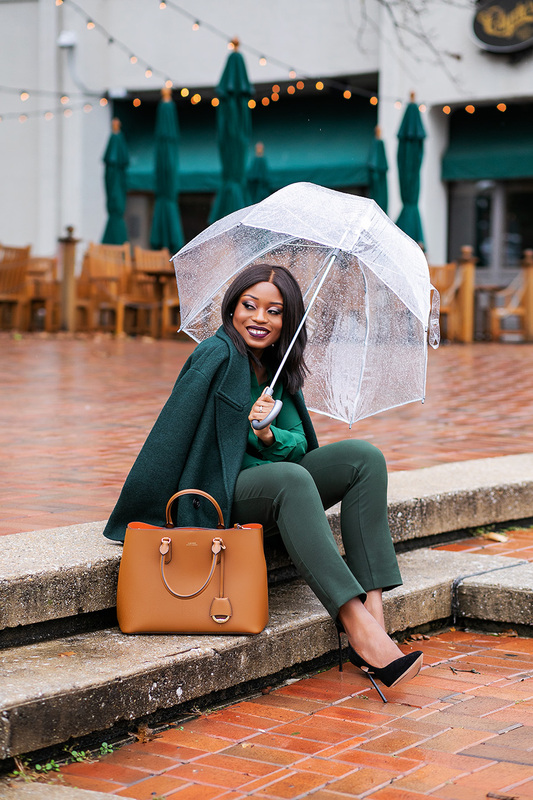 Holiday work style should be fun, bright, and bold; but still classy and appropriate for work environment. I typically shop at Lord & Taylor, Ann Taylor, JCrew, Nordstrom to name a few. 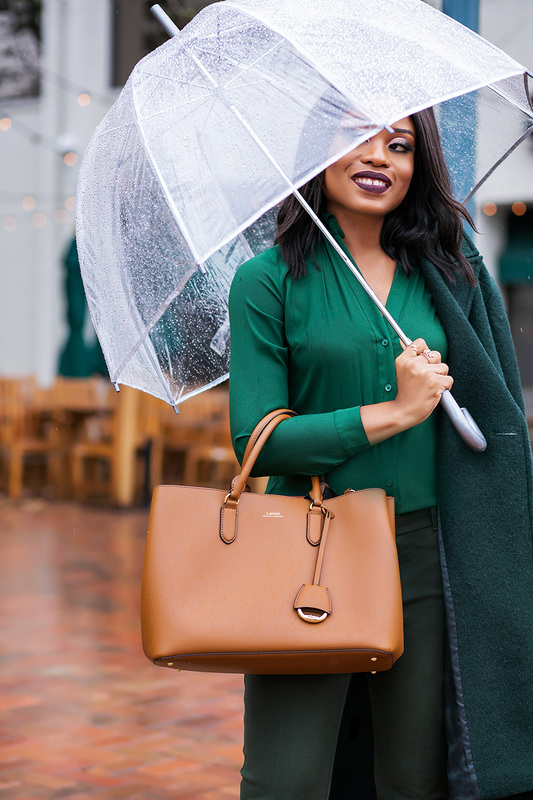 These stores have great work styles and pieces to that will be perfect for holiday season. 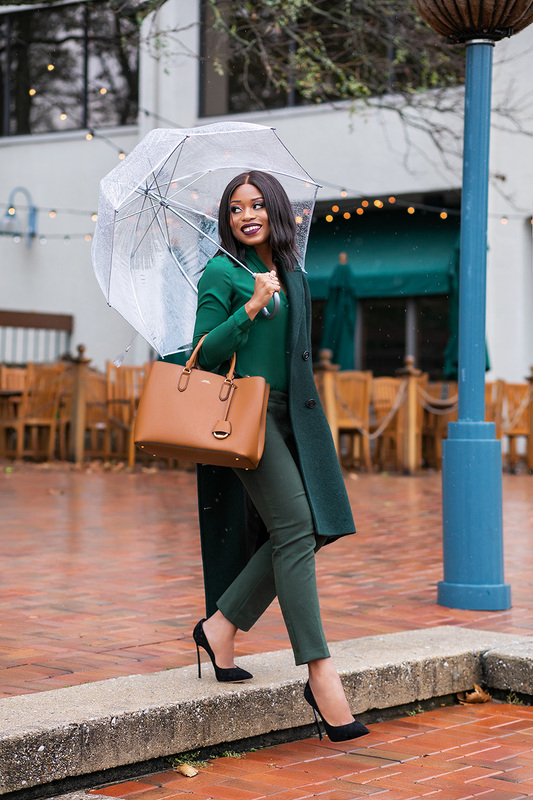 Ankle pants are one of my go-to pieces to wear to work. I am wearing the ankle pants in 'wild moss' paired with dark emerald green button down blouse. 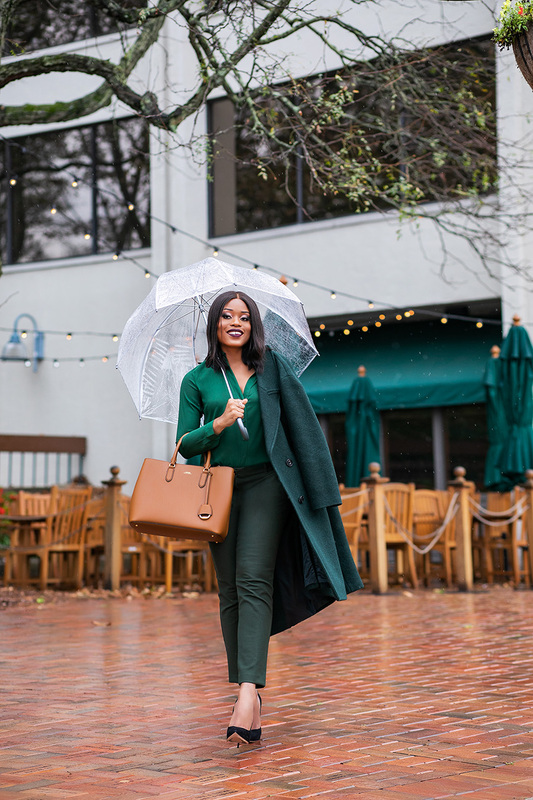 I completed the look with double breasted coat to stay warm during the cold season; but also to complement the shades of green.